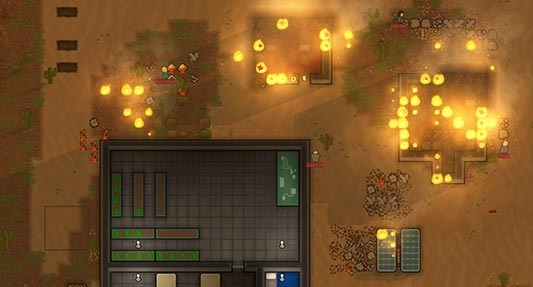 In RimWorld, mild to severe cold or enemy bullets can affect the health of your settlers and you need medicine to counteract. But you cannot heal alone with medicine, you also need to provide them with special beds so that your settlers heal much better and faster. Generally, you need money to buy new medicine, but there are ways to make medicine yourself. In RimWorld, healing is accomplished mainly by colonists who have acquired the medical skill. The ailing settlers must have doctoring status enabled and are subject to a bed so that you may be able to heal. You can also get injuries and illnesses without the special skill to heal, but the treatment is much more effective and the experience gain of physicians is greatly increased if you heal using the medical skills. You should keep all of your medicine in refrigerators to prolong their life. - Shelf life: 150 days. Unfortunately, you cannot produce the normal medicine yourself. You must buy them from the merchant ships. The Glitterworld medicine is significantly stronger. Therefore, you must also invest more money to it, if you acquire these merchant ships. Through their immense strength you can save important characters from certain death. With each unit of Glitterworld medicine you will receive a copy of doctoring for Dummies, which itself colonists can achieve good treatment without any medical knowledge. - Select the Build menu in the furniture sector. - Then select the steel medical bed. - You need 120 steel and 10 medicines. - You need 1000 points.